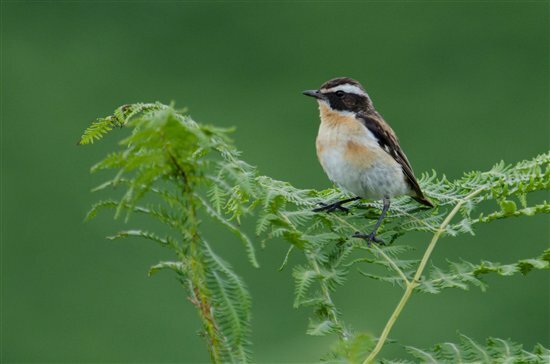 Information collected by volunteers taking part in the BTO/JNCC/RSPB Breeding Bird Survey (BBS) shows that the UK whinchat population has declined by 53% since the mid-1990s. The decline started prior to this, and whinchats were lost as a breeding species from much of the lowlands before the 1980s. Whinchats are now largely confined as a breeding bird to the British uplands; however, even here they continue to decline. Whinchats are a long distance migrant, wintering in sub-Saharan West Africa. A range of factors may therefore be implicated in their decline, including changes in the suitability of UK breeding habitat, as well as threats along migration routes and on African wintering areas. All of these could be affected by overarching issues such as climate change. It is difficult to research all of these at the same time, so over the last three years the RSPB‘s Centre for Conservation Science has been carrying out research to investigate whether the decline is linked to the suitability of breeding habitat in the UK. To do this, we have been visiting 85 BBS 1km squares, with varying whinchat trends (broadly increase, stability or decline), from south-west England to the northern tip of Scotland. Each of these BBS squares are visited twice; firstly, an early morning visit in May or June to map which areas breeding whinchat are utilising. This is then followed up by another visit to record a range of habitat measures within squares. 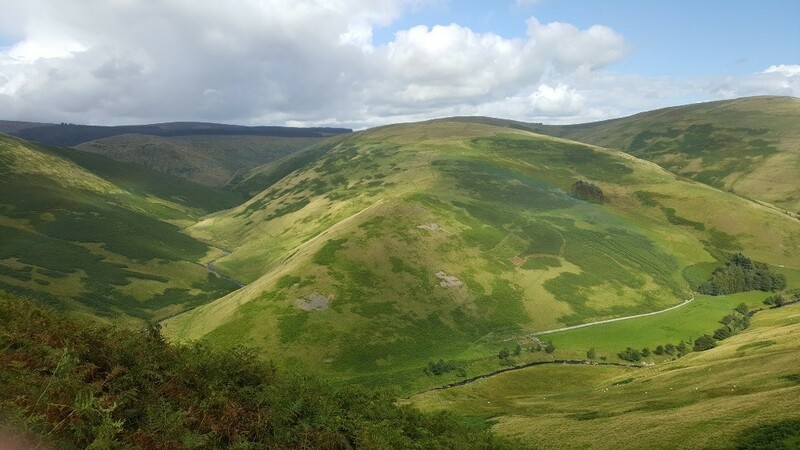 The work involves walking long distances (more than 600 miles each in a field-season), with many hours spent climbing through stands of bracken; however, it does bring certain rewards as it takes you into many spectacular landscapes. The Cheviots in Northumberland. The bracken-dominated valley slopes can hold high whinchat densities. We hope that this research will identify the vegetation characteristics associated with areas where breeding whinchats still live, and whether these contrast with areas of decline. The next stage will then be to test whether creation of suitable habitat is effective in stemming and ultimately reversing declines. 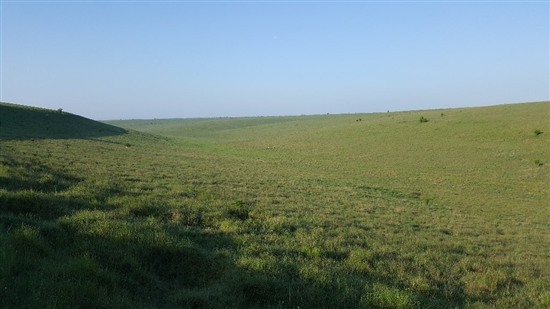 The chalk grasslands on the Salisbury Plain military training area holds some of the highest whinchat densities in the country, with 15 territories found in one kilometre square. Andrew's wording suggested he knew already which areas were trending increases and which were experiencing decreases. Wording was, "To do this, we have been visiting 85 BBS 1km squares, with varying whinchat trends (broadly increase, stability or decline), from south-west England to the northern tip of Scotland". Can't be too many areas where they are increasing. I was just curious to know where. I've spoken to Andrew, our scientist behind this. Hope this answers your question: Whinchats are often found in upland valleys associating with stands of bracken, but they do temporarily utilise habitats such as native woodland schemes and young plantations. This is the last year of the project and we currently have two field staff out collecting data. When the data are in, we hope it will identify other significant factors affecting whinchat trend and abundance. "varying whinchat trends (broadly increase, stability or decline)" - re this quote, which areas have increasing whinchat population? What have those areas got (or not got) that are making the difference?